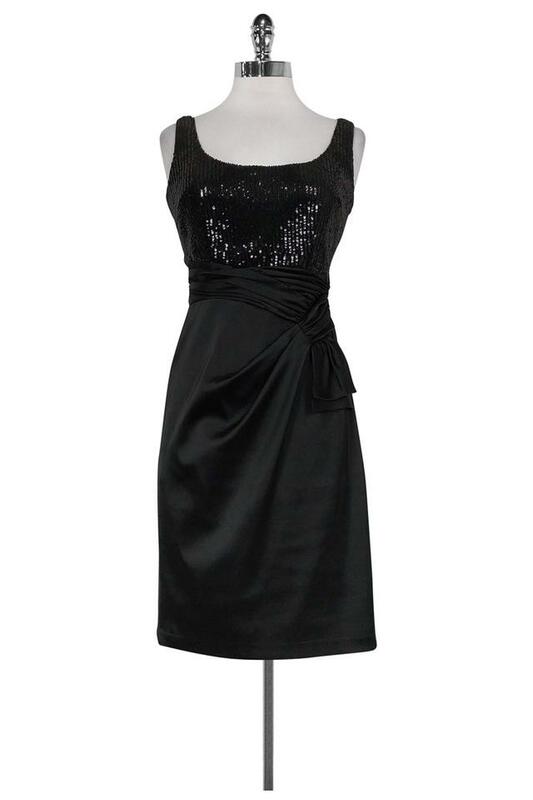 Shimmer, shine and shake it out on the dance floor in this classic cocktail dress from David Meister. Featuring a delicate black sequined top and beautiful chiffon finish skirt with ruched bow - this is no ordinary LBD! Perfect for your next night out!